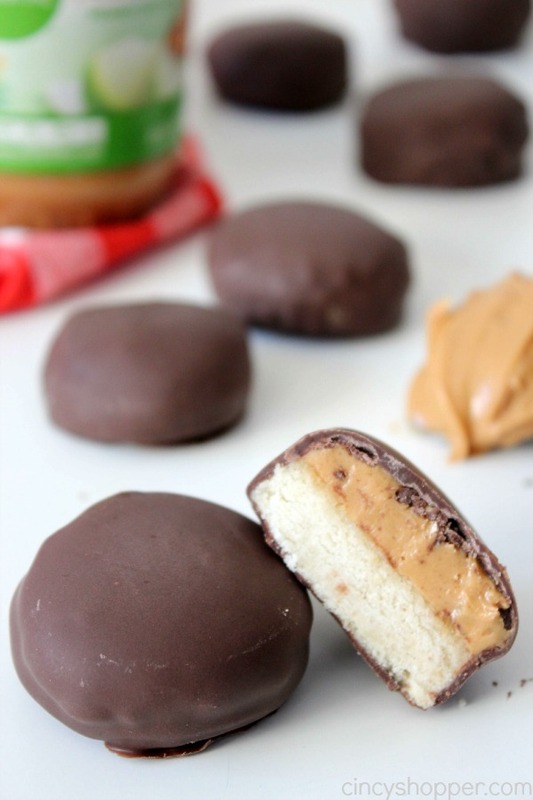 I am so excited to share our CopyCat Girl Scout Peanut Butter Tagalong Cookies Recipe with you! 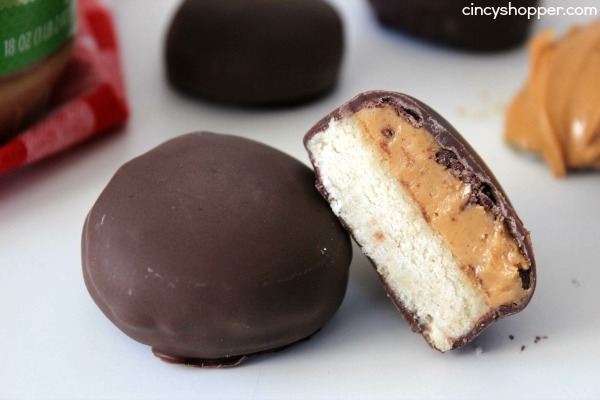 The perfect combination of shortbread cookie, peanut butter and chocolate. This recipe will come with a warning! These homemade cookies are TOTALLY addicting! Peanut Butter and chocolate are my biggest weaknesses in life. 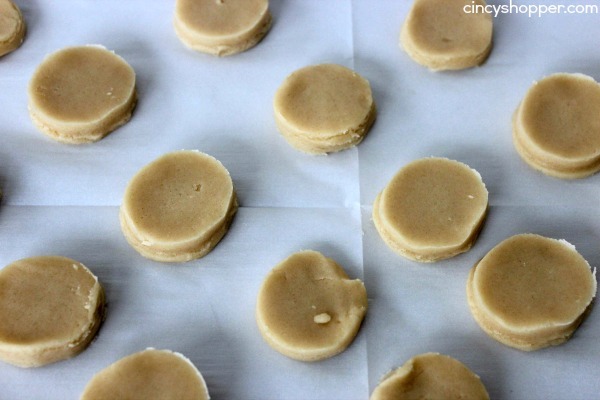 I shared our yummy CopyCat Girl Scout Somoa Cookies Recipe with you last week. Those were SUPER tasty and my family polished off a batch of those in one day. But I think I may have ate most of this batch of cookies all on my own. As I create this post I am enjoying yet another one of these cookies (ok, maybe two, ha ha). 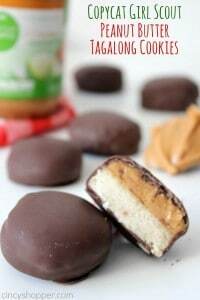 I warned you that these cookies will create an addiction for Girl Scout Peanut Butter Tagalongs almost instantly. It’s Girl Scout Cookie Season and I am looking forward to stocking up and stashing some extras in the freezer. I just need to find me a Girl Scout selling. Do you have that problem too? 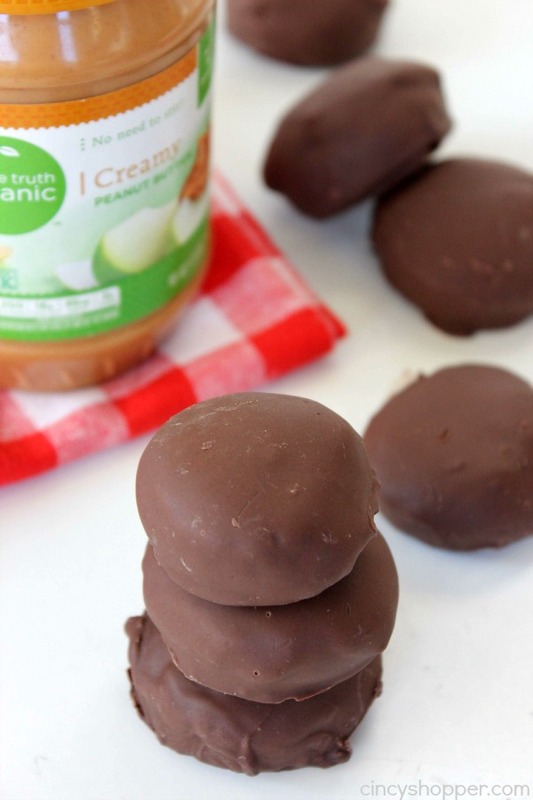 I feel a bit better knowing that If I do not locate a Girl Scout Cookie Sale this year, I can make my own Copycat Girl Scout Cookies at home. Plus the recipes are super simple so far. This weekend I am going to make another batch of these yummy cookies. I also plan to make my other favorite Girl Scout Cookies… Thin Mints. I am excited to to see how yummy those will be. The Ingredients needed to make your own CopyCat Girl Scout Peanut Butter Tagalong Cookies are quite simple. 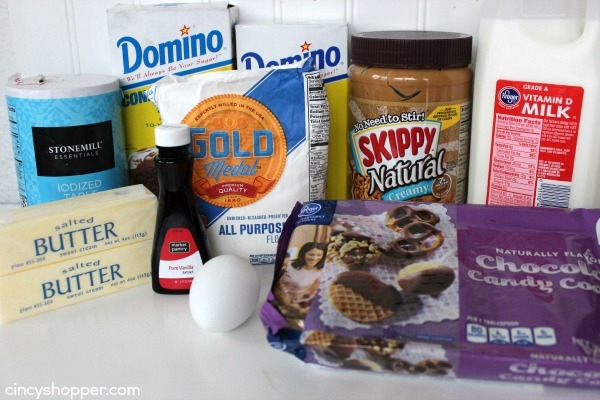 Just grab some flour, sugar, milk, vanilla, butter, peanut butter, confectioners sugar and some chocolate. They are super simple to make. 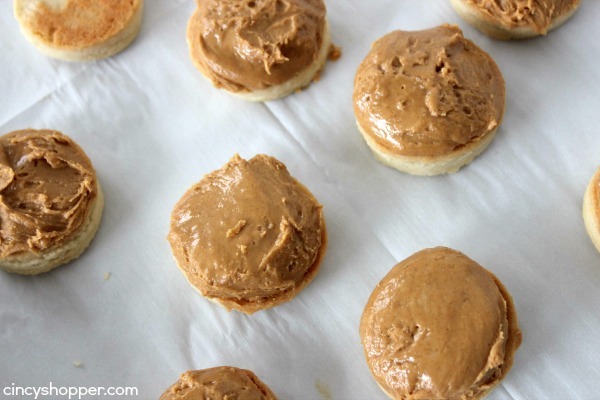 Just avoid from eating up all the peanut butter filling before topping your cookies, ha ha! Gradually add in the flour and salt. Add the vanilla and milk and mix until blended. 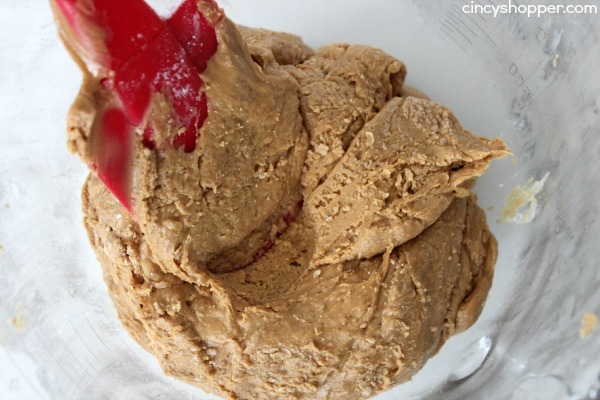 Roll out dough to 1/4″ thick and cut about 2″ round cookies. Bake for 12-15 minutes, until the cookies are lightly browned. Leave on the baking sheet for 2-3 minutes before transferring to cooling rack. 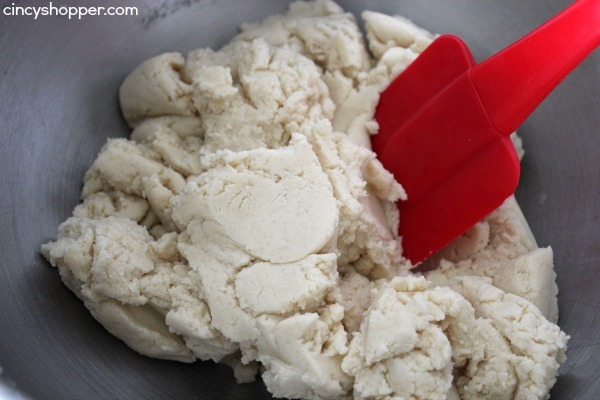 Spread the mixture on top of each cookie and place in freezer for 10 minutes. Dip cookies in the chocolate and lift out with a fork shaking off excess. Place the cookies on prepared sheet and allow to set. Roll out dough to 1/4" thick and cut about 2" round cookies.